SkyFire Energy offers an array of customized solar-plus-battery solutions that enables you to store the free, abundant power of the sun. 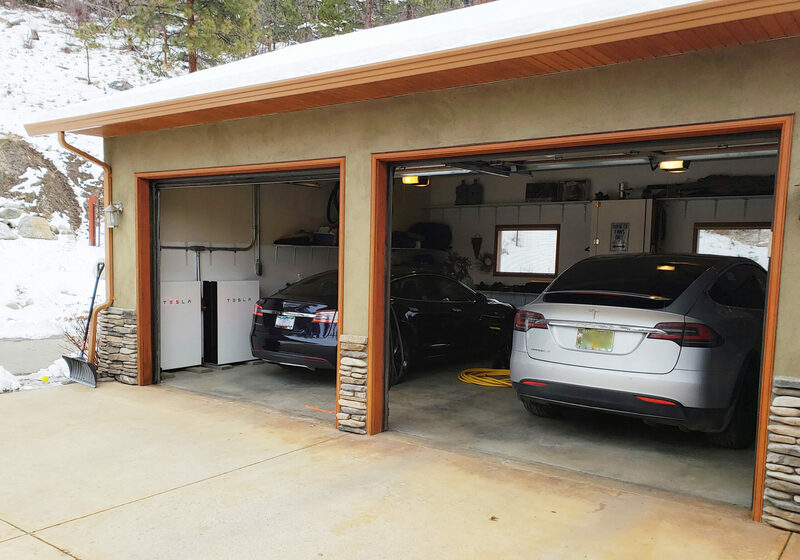 Installing battery storage with SkyFire Energy is easy as we take care of everything from system design, permitting (where applicable) and installation. Battery-based systems are highly customized solutions and our highly skilled team will work with you to better understand your goals and objectives at the outset. Battery storage allows you to store solar energy generated during the day for later use. While the sun is out your solar PV system can be configured to charge a battery or batteries for later use. The batteries can then be called upon at night or during periods of no or low solar production or in the event of a grid outage providing you with energy security and independence. Battery systems can be grid-tied or off-grid. Not only can residential customers benefit from battery storage but agriculture and small businesses as well. No matter what type of customer and electrical service, you will receive the same great benefits. Use your own solar power instead of grid power – Storage batteries store surplus solar energy during daylight hours and use that energy later when the sun is not shining (avoiding the variable costs associated with transmission and distribution). Back-up power – Assures power in the event of a grid outage. Keeping the freezer frozen and the fridge cold or your home from flooding can pay off your battery storage investment in one extreme weather event. SkyFire is excited to bring the Powerwall to Alberta, Saskatchewan and British Columbia. Contact us to discuss your battery storage needs today. Call us at 1-87-SKYFIRE-1 or fill out this contact form here to have a solar specialist call you within 48 hours.